I'm thrilled with the release of this DVD+CD box by Kairos. 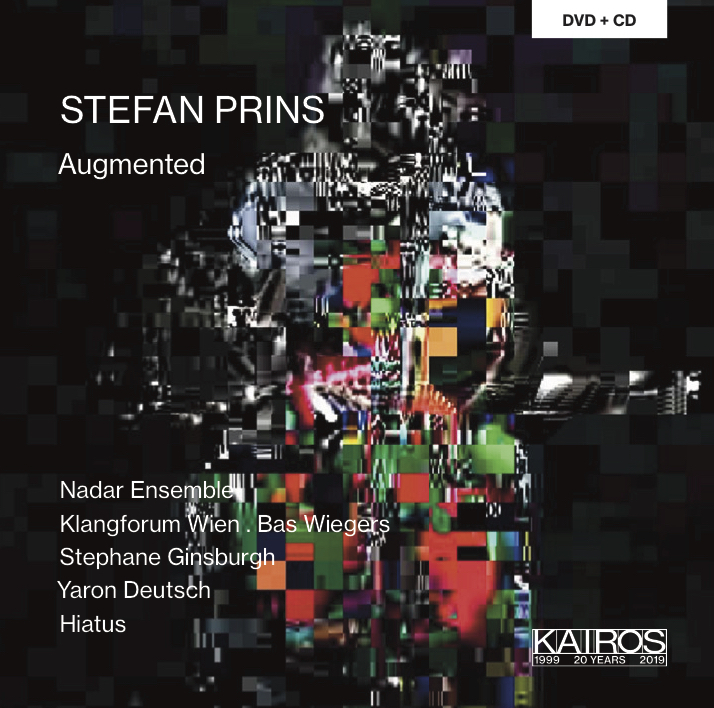 The DVD contains the audio-visual works Generation Kill, Mirror Box Extensions, Piano Hero #1-4 and Third Space) in brand-new video recordings by Kobe Wens with Nadar Ensemble, Klangforum Wien &Bas Wiegers, Hiatus Dance Company and Stephane Ginsburgh. On the CD you will find a revised version of Not I for electric guitar and live-electronics, performed by Yaron Deutsch and myself, the music of Third Space (Klangforum Wien & Bas Wiegers) and Infiltrationen 3.0 for string quartet, FX-pedal players and live-electronics, performed by Nadar Ensemble, Johannes Westendorp, Kris Delacourt and myself, wonderfully mastered by Stefano Bechini/Green Brain Studio. This release would not have been possible without the generous support of the Flemish Government and supplementary support from the Fédération Wallonie-Bruxelles, the Brussels Art Platform, Koninklijk Conservatorium Brussel, Muziekcentrum de Bijloke, deSingel Art Campus, Champdaction, ICST Zürich, Hiatus, Nadar Ensemble, Klangforum Wien & Kairos! Pieter Matthynssens and Tim Rutherford-Johnson wrote each a wonderful essay for the booklet, and Kairos made all of this into a beautiful object containing 202 minutes of video and 80 minutes of audio, which can be bought for only 22 euro. Published in Neue Zeitschrift für Musik, June 2018 (3/2018). For clarinet/bass clarinet, percussion, piano, cello and soundtrack (2016-2017) Live-recording of the premiere by Decoder Ensemble, 2nd of September 2017, Resonanzraum, Hamburg. 1/5/17: Interview on "El Compositor Habla"
A long interview for Ruth Prieto's "El Compositor Habla" blog is now online. Here's the video recording of the premiere of "Piano Hero #4" by Stephane Ginsburgh, live at Muziekcentrum de Bijloke (25/3/2017). The Piano Hero Cycle has now reached its completion, after having worked on it for the past 7 years. It's comprised of 4 parts that can be played independently or as a whole (the latter being the richer experience). The full cycle is about an hour of music. I'm very grateful to the pianists that have commissioned the pieces: Frederik Croene (#1), Mark Knoop (#2) and Stephane Ginsburgh (#3-4), as well as to the commissioning organisations: HCMF, Muziekcentrum de Bijloke, Ultima Festival Oslo, ICST Zürich & Darmstädter Ferienkurse. Special thanks go to Frederik Croene, for supplying the rich sonic and visual material for the videos in which he's playing on his piano frame, to Kobe Wens for these video recordings, to Florian Bogner (ICST) for the wonderful and inspiring collaboration in developing the electronics and to Victor Barcelo, Maarten Beirens, Toon Callier, Sylvia Hinz, Brian Penkrot, Bert Prins and Tianghe Zhou for recording a long set of chords on their beautifully out-of-tune pianos for PH#4. Trio Accanto's fantastic studio recording (done by the SWR) of Mirror Box (Flesh+Prosthesis #3) has just been released on CD by WERGO. The improvisations that Peter Jacquemyn (double bass & voice) and me (live-electronics) have recorded last summer are now released by ChampdAction Records, in a double CD with beautiful art work by Peter himself. The first CD contains 7 improvisations recorded in the studio (67'), while the second CD consists of the live recording of the two longer sets that Peter and me played at a concert the night before (59'). You can order it here. At this year's Darmstadt Summer Courses & Festival Stephane Ginsburgh + ICST will premiere "Piano Hero #1-3" for keyboard, piano, live-electronics and live-video on 30/7/2016. On 31/7 Ulrich Mosch will give a lecture on "Piano Hero" in the context of the Lecture Series Rückblick - 7 Werke aus 7 Jahrzehnten. Immediately after the presentation Stephane will give a second performance of the entire cycle. 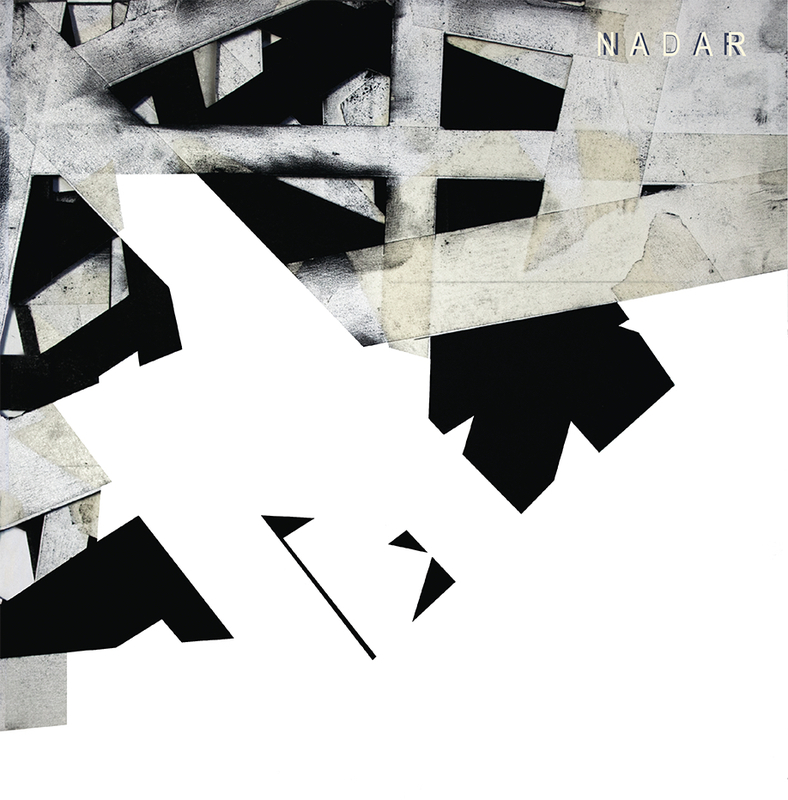 For the 10th Anniversary of the Nadar Ensemble I composed the electronic piece "Peel", which is now released on Nadar's Anniversary Vinyl, also including new electronic pieces by Michael Beil, Martin Schüttler, Michael Maierhof, Johannes Kreidler, Alexander Schubert, Jorge Sanchez-Chiong and Vladimir Gorlinsky. The gorgeous artwork was done by visual artist Joachim Devillé. 15/7/16: "Körper in die Spiegelkiste" in "Neue Zeitschrift für Musik"
15/6/16: Essay "De kritische omhelzing van technologie in kunst"
1/6/16: "Musikalische Phantomatik" in "Positionen"
Article by Monika Pasiecznik in the June edition of Positionen (issue 107): "Musikalische Phantomatik. Die virtuellen Realitäten des belgischen Komponisten Stefan Prins". The article can also be read online on Monika's blog in both German and Polish. Large essay on my music in Joep Christenhusz' book "Componisten van Babel. Meerstemmigheid in de gecomponeerde muziek van nu in Vlaanderen en Nederland". In this book Joep bundles 10 essays on 10 composers of the younger generation from Flanders and the Netherlands, also including Michel Vander Aa, Daan Janssens, Mayke Nas, Annelies Van Parys, Joachim Brackx, Merlijn Twaalfhoven, Micha Hamel, Joey Roukens en Wilbert Bulsink. 19/5/16: "Verstrengelde dimensies" in "De Groene Amsterdammer"
Article by Joep Christenhusz on "Mirror Box Extensions" in "De Groene Amsterdammer" of 19/5/2016: "Verstrengelde dimensies. Stefan Prins, tussen werkelijkheid & schijn". 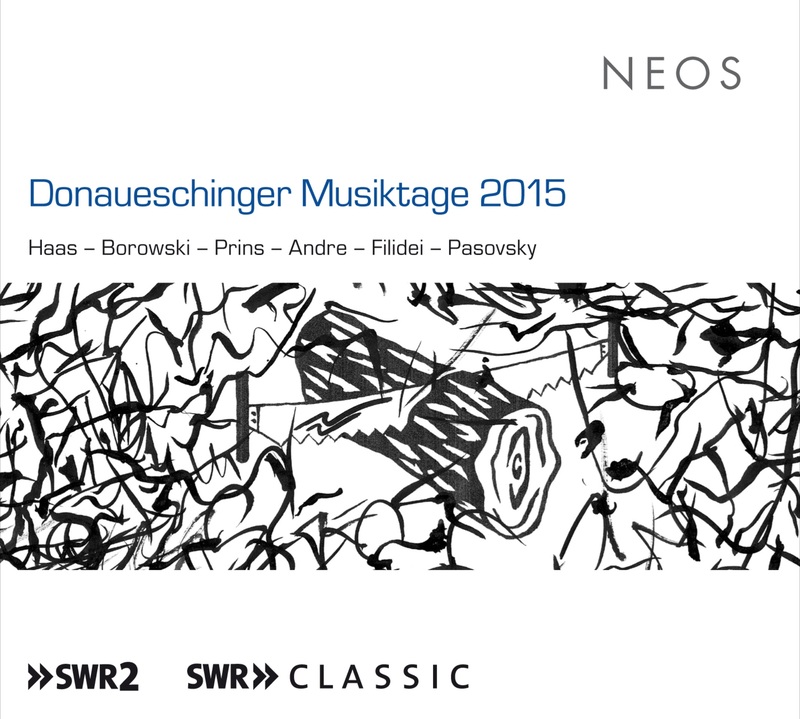 Very happy and honored to be this year's recipient of the Kunstpreis Berlin für Musik from the Akademie der Kunste. Here it is, the video of the ever amazing Nadar Ensemble premiering Mirror Box Extensions, a staged piece for 7 musicians, live-electronics and live-video, at the Donaueschinger Musiktage 2015. "I'm your body" for amplified quartet, ensemble and electronics is released on the 2014 Anthology cds of the Wittener Tage für neue Kammermusik 2014, performed by Klangforum Wien and Emilio Pomarico. My essay Über das Multidimensionale has been published in the most recent MusikTexte (issue 145, May 2015). The English version of the text can be downloaded on the same link. My essay Theater van het hybride lichaam. 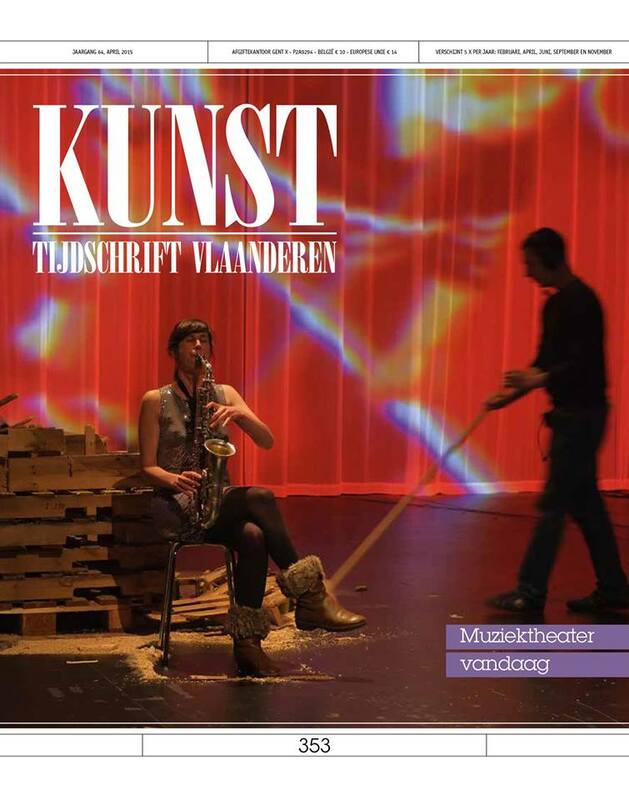 Bewegen in onze augmented reality (in Dutch) has been published in the most recent issue of Kunsttijdschrift Vlaanderen (issue 353, April 2015). Based on several hours of interviews from the past years, Barbara Eckle made the radio portrait "Fleisch und Prothese" about my music for Deutschlandfunk. Click here to listen. 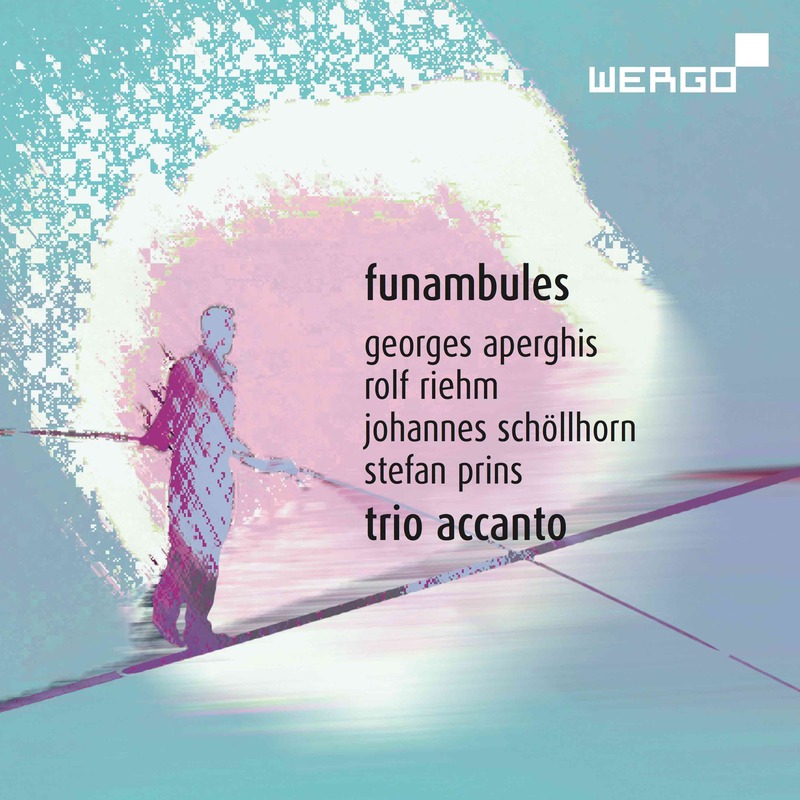 The wonderful Trio Accanto premiering Mirror Box (Flesh+Prosthesis #3) for sax, percussion, piano and live-electronics at Eclat Stuttgart on 6/2/2015. 31/12/14: New video "Flesh+Prosthesis #0-2"
New video online from the first performance of "Flesh+Prosthesis #0-2" by the fantastic Nikel Ensemble at the Darmstädter Ferienkurse 2014 (13th August 2014). Very happy to be awarded the Young Composers Award at this year's ISCM World Music Days (Wroclaw, Poland) for Piano Hero #1, after a memorable performance by Małgorzata Walentynowicz. I'm honored to be this year's Laureate of the Royal Flemish Academy of Belgium for Science and the Arts in the class of the Arts. After a full year of fun and preparations with Brian Archinal and Yaron Deutsch we proudly presented our brand new band Ministry of Bad Decisions and its first show "I think I will" at the final concert of this year's Darmstädter Ferienkurse. More concerts coming up in 2015-2016! 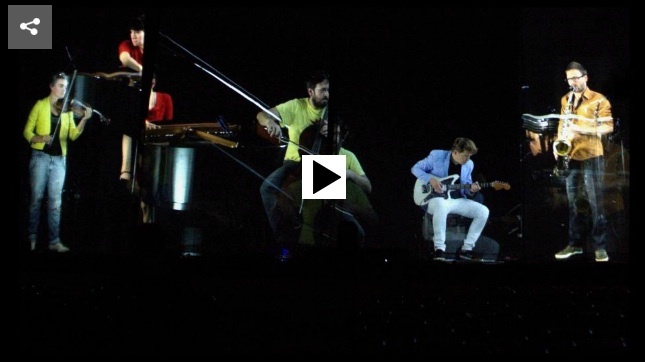 New video online of a wonderful performance of "Ensuite" by Séverine Ballon in Lyon, 4th of October 2013. My article Composing Today. Luft von diesem Planetem has just been published in the 22nd edition of the Darmstädter Beitrage für Neue Musik (2014). 1/03/14: "Alien Bodies" - article on my music in "Dissonance"
Swiss Music Journal for Research and Creation "Dissonance" has just published Tomasz Biernacki's article Alien Bodies about my music and aesthetics. It can be freely downloaded on the website of Dissonance. 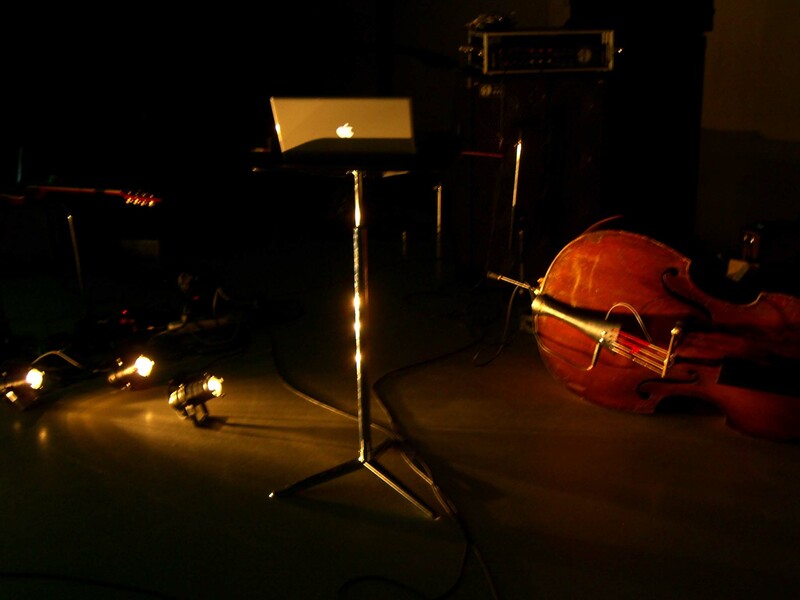 16/11/13: Recording of "Flesh+Prosthesis #1"
Live-recording of the first performance of Flesh+Prosthesis #1 for ten.sax, e-gtr, pno, perc and soundtrack by the Nikel Ensemble during Wien Modern, 8th of November 2013. Click here for the audio recording only. My text Composing Today, Luft von diesem Planeten, written for the new Klangforum Wien Agenda, is now also published online in English and German. Or click here for the original Dutch version. The German translation will be published in the november issue of the new music journal Positionen. 2/4/13: New video online of "Generation Kill"
New video online of a great live-performance by the Nadar Ensemble (in collaboration with Centre Henri Pousseur) of "Generation Kill" at the Ars Musica Festival 2013 in Brussels on 23rd of April 2013. The double-cd "Fremdkörper", containing 10 compositions of mine from between 2004 and 2010, released at Sub Rosa, made it to the top-10 of the Chicagoreader's cd-releases of 2012. For more reviews, click here. Alex Ross in The New Yorker - Culture Desk: [Amongst the ten memorable classical performances of 2012 was the premiere of] Stefan Prins's "Generation Kill" at the Donaueschingen Music Days. This blistering study of video-game culture and drone warfare showed a composer at the front lines of his art. Read the full article and other press reviews on the première of Generation Kill at the Donaueschinger Musiktage here. Click here (and scroll down to "Konzert mit dem Nadar Ensemble") to see the full video of "Generation Kill" as performed by Nadar Ensemble during the Donaueschinger Musiktage. Performed by Zwerm electric guitar quartet, Stefan Prins & Shila Anaraki (Frankfurt Lab, Frankfurt). Next performances: deSingel, Antwerp, 25/1/2013 & Beursschouwburg, Brussels, 15/3/2013. Sub Rosa just released the double-cd "FREMDKÖRPER", containing 10 brand-new recordings of acoustic and electro-acoustic compositions I wrote between 2004 and 2010. Featured artists are Nadar Ensemble, Klangforum Wien, Champ d'Action, Nikel Ensemble, Agartha, Zwerm electric guitar quartet, Matthias Koole, Pieter Matthynssens and me. Comes with a 20 page booklet containing a.o. a text by Michael Rebhahn. Order the 2CD set now for only 12€! Starts shipping on 27th of June. First reviews on the CD are now online: Spectrum Culture (English) and on the Blog of Monika Pasiecznik (German). For more reviews, click here. The Union of Belgian Music Journalists elected me "Young Belgian Musician of the Year 2012", resulting in a.o. a portrait concert at the Ars Musica 2013 festival. More news to come. After Frederik Croene premiered and performed "Piano Hero #1" in Belgium and The Netherlands (next performance on 4/12/2011 at Intro In Situ, Maastricht), Mark Knoop now plays this piece at the Huddersfield Contemporary Music Festival (UK), where he'll also premiere "Piano Hero #2". More "Piano Heroes" are planned in the following years, to form the large-scale cycle Piano Hero for piano, midi-keyboard, live-electronics, webcams and video. Portrait by Michael Rebhahn on the German radio station HR2: "Cluster - Introducing: Stefan Prins" on 5th of July 2011, 22:00-23:00, with an interview and recordings of "Not I", "Fremdkörper #1", "Infiltrationen", "Ventriloquium", "Fremdkörper #3 (mit Michael Jackson)" and more! Click here to listen to the program. I'm happy to announce that in September 2011 I'll start a PhD in composition at Harvard University under the guidance of Chaya Czernowin. Click here for a reportage on Cobra.be about Zwerm & "Infiltrationen", click here for more info about the composition. 28/10/10: "Fremdkörper #3 (mit Michael Jackson)"
"Fremdkörper #3 (mit Michael Jackson)" for ensemble and live-electronics will be premiered by Klangforum Wien & Enno Poppe during the Impuls Festival on the 5th of February in Graz. Below you can hear an electronic study for "Fremdkörper #3". 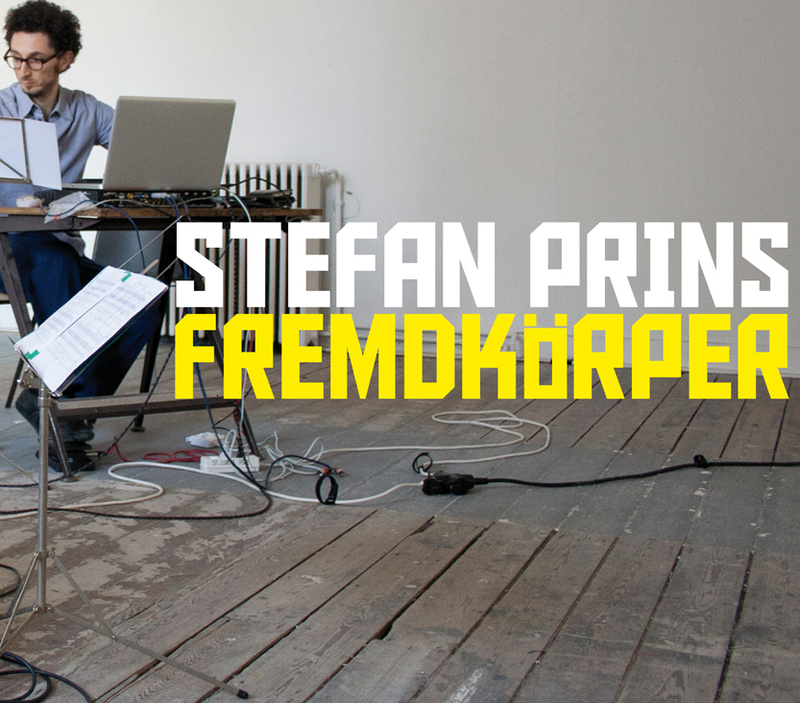 Fremdkörper #1 has been selected by ISCM-Flanders for the ISCM World Music Days 2011 in Zagreb. From the jury-report (chaired by Martijn Padding): "A completely original soundworld, a real top-work soundwise." / "Disturbing"
Click here to listen to an extensive interview (in French), fragments of "Erosie", "Ensuite", "Ventriloquium", "Fremdkörper #1" and improvisations with collectief reFLEXible and in duo with Richard Barrett in Anne Mattheeuws's program of 2-6-2010 on the French-speaking National Radio Channel "Musiq3"
I'm very happy to have been awarded a "Staubach Honorarium", which is bi-annually awarded by the Darmstadt Ferienkurse 2010. 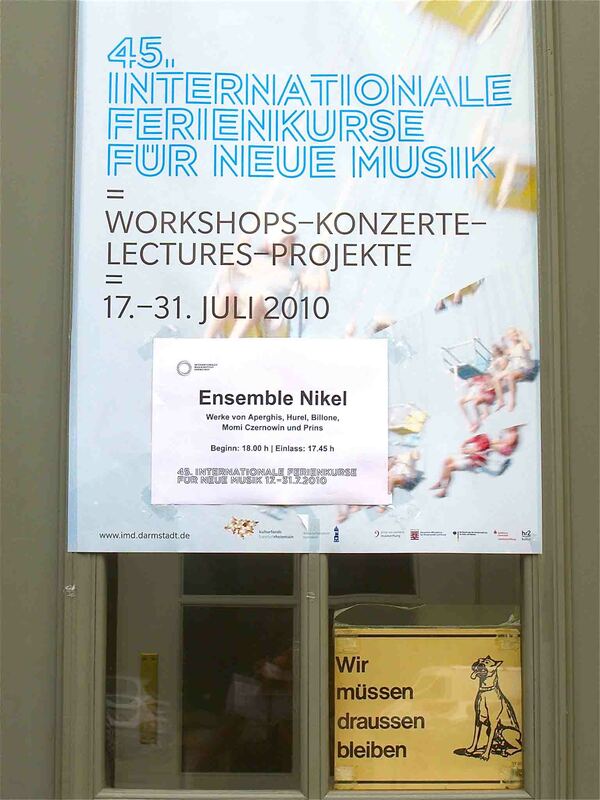 This prize includes a composition commission for a new piece to be premiered by the Israelian Nikel Ensemble during the upcoming Darmstadt Ferienkurse in July (see calendar). 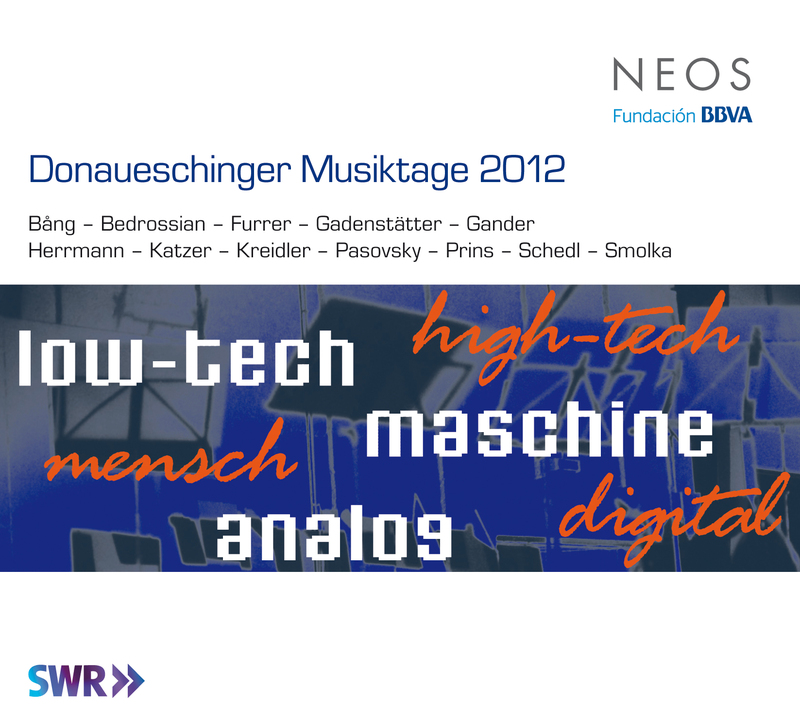 Together with 5 other selected composers, I'll be having two workshop-weeks with Orm Finnendahl at the Musikhochschule Freiburg dealing with his recently developed live-electronics software "Quo!". 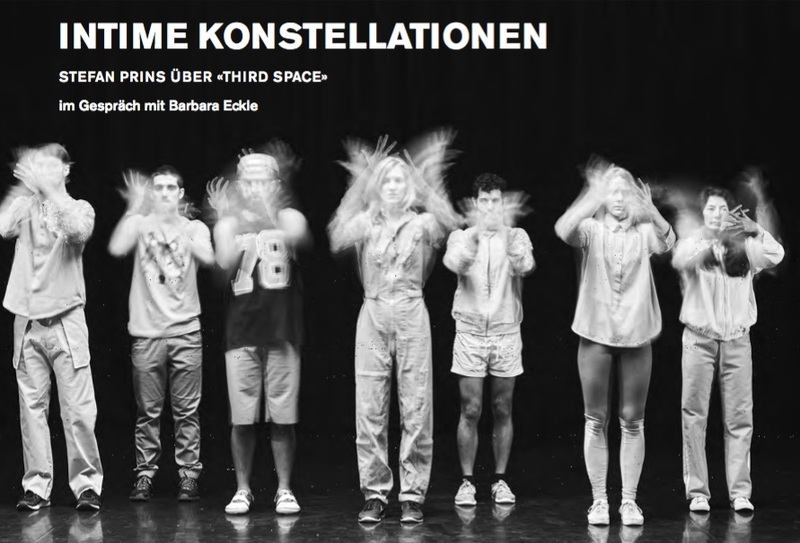 These workshops (the second one will be in March), in collaboration with the classes of Markus Weiss & Uli Fussenegger, will result in a new piece to be premiered at the Darmstadt Ferienkurse 2010. From 27/8/09 until 12/9/2009 I'll be touring in Brasil, together with guitar-player Matthias Koole and Brasilian composer/guitar-player Mario del Nunzio. Concerts (including a.o. "Not I" for e-gtr & live-electronics), workshops and lectures are planned in a.o. São Paulo, Rio de Janeiro, Campinas, Santos and Belo Horizonte. Mario Del Nunzio, Matthias Koole & Stefan Prins improvising at Univ. de São Paulo, 9/9/2009. Being one of the four winners of the biannual International Impuls Composition Competition, the ensemble Klangforum Wien commissioned me a new composition to be premiered in Graz, Austria, in 2011. The jury consisted of Beat Furrer (dir), Pierluigi Billone, Ernesto Molinari & Ernst Kovacic. Erosie (Memory Space #1) for viola & Bayan/accordion has been selected by ISCM-Flanders for the World Music Days in Australia 2010. The jury consisted of Eric Sleichim (dir), Maarten Beirens, & Filip Rathé. CD Realgar by collectief reFLEXible is selected as the "Editor's Choice" on Kwadratuur.be. 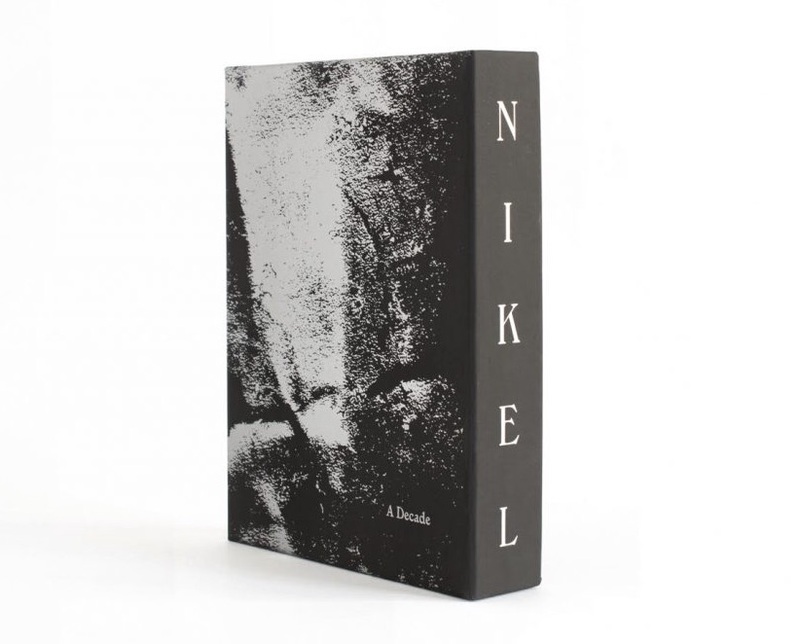 Click here for the review and here for an interview by Koen van Meel. 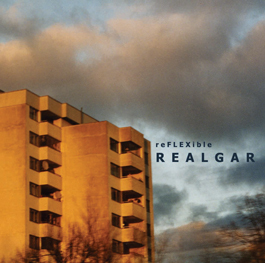 After having released several home-made cd-r's the past few years, collectief reFLEXible now presents its brand-new cd "Realgar" on the Italian improv-label Amirani Records. Over 50 minutes of improvised music by Joachim Devillé, trumpet & flugelhorn, Thomas Olbrechts, alto saxophone and Stefan Prins, live-electronics. Thanks to John "Sugerdaddy" Rottiers &	Gianni Mimmo for their support! To order the cd go directly to Amirani's site or drop me a mail. To listen to excerpts, visit our myspace. For reviews, click here. Ensemble Mosaik performs "Generation Kill - Offspring 1" for vc, perc, 2 gamecontrollers, live-video and live-electronics 20:00: Paine Hall, Harvard University, Cambridge, Mass. Trio Accanto recording "Mirror Box" at SWR for upcoming CD release.